I am a video producer and photographer by profession. As a photographer, one of my core skills is in dance event photography, as one of only a handful of photographers experienced in covering dance events, performances and portraits. I got a chance to countries around the Asian region capturing visuals to help participants of the events immortalize their moments. If you are interested in bringing me over to your festivals/events. Just head over to the contact section and drop me a message. Through GEMNUINE - the idea co., my team and I also provides Brand Management and PR services. Our core expertise is in helping brands evolve and attract the current market. We also provides Digital Marketing and Management services, from web designs to social media management. Drop me an email today at mike@gemnuine.com and let us know how you want us to help you. If you are stumped by the photo, yes, I dance as well, mainly Salsa, Bachata, Kizomba, West Coast Swing and Argentine Tango. I have since stopped performing due to injuries but if you are looking for performers for corporate events/functions/parties/festivals. Do drop me a message as well as I manages some of the dance teams that is currently making the rounds performing for various clients. GEMNUINE - the idea co.
As our core business, this is what we are good at, capturing visuals that brings out the best for your brand. Through GEMNUINE, we specializes in helping brands redevelop, redefine and create a comprehensive marketing strategies reach the target market. Abood Media Sdn Bhd's core strenght in Digital Marketing Services focuses on Social Media Management and promotions. We also design and revamp websites as part of Abood Media Sdn Bhd's services. As part of a new offering from MIKE YIP STUDIO and partners, we also provides Live Streaming services for Events through dedicated sites or onto social media platforms. We pride ourselves at being good and efficient in what we do and we always try our best to deliver services that exceeds our client's expectations. Insightful talk by Michael, giving the students and lecturers a better view on what it takes to be in the photography and video production business and how to prepare if the students want to enter the industry. Thanks!. Always on point in capturing beautiful images, our participants gushes over our events thanks to his visuals. Definitely an added bonus to a dance festival. Always the first on location and the last to leave, even when he doesn't have to. Dedicated to his craft and has delivered in more ways than just the services we engaged him to do. 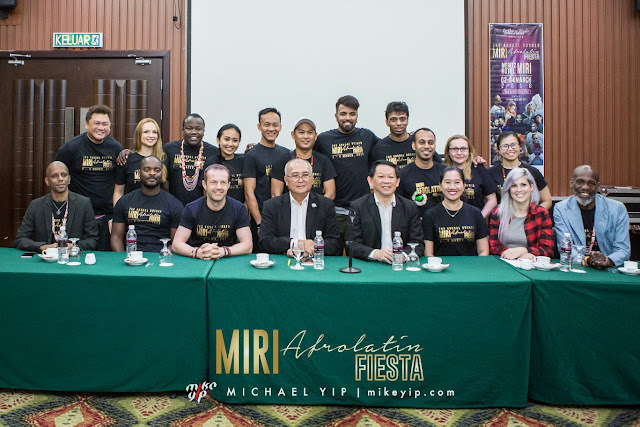 The Miri AfroLatin Fiesta 2018 has come and gone. A festival that is truly unique, organized and held at a small town in the Borneo island, the #MALF2018 was put together by a small group of dance enthusiasts, bringing in some of the best instructors and dancers from around the world to help build the dance community on the island, of course, those of us from the Peninsular was there as well. Here's some of the photos from the event. That's all for the #miriafrolatinfiesta but do you know that they are currently running a super early bird promotion? Head to Facebook and do a search for Miri AfroLatin Fiesta 2019 and you will see the promo being shared. Will I be seeing you at the next festival? 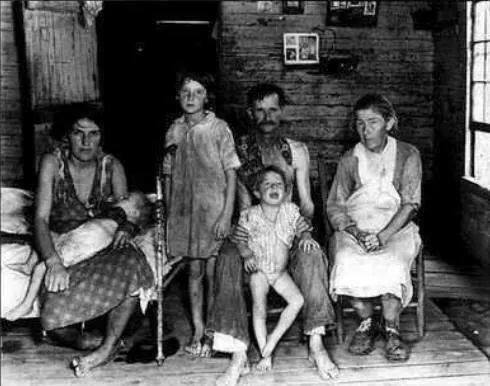 They used to use urine to tan animal skins, so families used to all pee in a pot & then once a day it was taken & Sold to the tannery.......if you had to do this to survive you were "Piss Poor"
Most people got married in June because they took their yearly bath in May, and they still smelled pretty good by June.. However, since they were starting to smell . ...... . Brides carried a bouquet of flowers to hide the body odor. Hence the custom today of carrying a bouquet when getting Married. Baths consisted of a big tub filled with hot water. The man of the house had the privilege of the nice clean water, then all the other sons and men, then the women and finally the children. Last of all the babies. By then the water was so dirty you could actually lose someone in it.. Hence the saying, "Don't throw the baby out with the Bath water!" Houses had thatched roofs-thick straw-piled high, with no wood underneath. It was the only place for animals to get warm, so all the cats and other small animals (mice, bugs) lived in the roof. When it rained it became slippery and sometimes the animals would slip and fall off the roof... Hence the saying "It's raining cats and dogs." There was nothing to stop things from falling into the house. This posed a real problem in the bedroom where bugs and other droppings could mess up your nice clean bed. Hence, a bed with big posts and a sheet hung over the top afforded some protection. That's how canopy beds came into existence. The floor was dirt. Only the wealthy had something other than dirt. Hence the saying, "Dirt poor." The wealthy had slate floors that would get slippery in the winter when wet, so they spread thresh (straw) on floor to help keep their footing. As the winter wore on, they added more thresh until, when you opened the door, it would all start slipping outside. A piece of wood was placed in the entrance-way. Hence: a thresh hold. In those old days, they cooked in the kitchen with a big kettle that always hung over the fire.. Every day they lit the fire and added things to the pot. They ate mostly vegetables and did not get much meat. They would eat the stew for dinner, leaving leftovers in the pot to get cold overnight and then start over the next day. Sometimes stew had food in it that had been there for quite a while. Hence the rhyme: Peas porridge hot, peas porridge cold, peas porridge in the pot nine days old. Sometimes they could obtain pork, which made them feel quite special. When visitors came over, they would hang up their bacon to show off. It was a sign of wealth that a man could, "bring home the bacon." They would cut off a little to share with guests and would all sit around and chew the fat. Those with money had plates made of pewter. Food with high acid content caused some of the lead to leach onto the food, causing lead poisoning death. This happened most often with tomatoes, so for the next 400 years or so, tomatoes were considered poisonous. Bread was divided according to status. Workers got the burnt bottom of the loaf, the family got the middle, and guests got the top, or the upper crust. Lead cups were used to drink ale or whisky. The combination would Sometimes knock the imbibers out for a couple of days. Someone walking along the road would take them for dead and prepare them for burial.. They were laid out on the kitchen table for a couple of days and the family would gather around and eat and drink and wait and see if they would wake up. Hence the custom of holding a wake. England is old and small and the local folks started running out of places to bury people. So they would dig up coffins and would take the bones to a bone-house, and reuse the grave. When reopening these coffins, 1 out of 25 coffins were found to have scratch marks on the inside and they realized they had been burying people alive... So they would tie a string on the wrist of the corpse, lead it through the coffin and up through the ground and tie it to a bell. Someone would have to sit out in the graveyard all night (the graveyard shift.) to listen for the bell; thus, someone could be, saved by the bell or was considered a dead ringer. And that's the truth....Now, whoever said History was boring?